“Where do you see yourself in five years?” is such a popular interview question, it’s become almost cliché. And yet, planning for the future is critical, not just for potential employees, but also for current employees and your organization. Why is it so important? According to one report, 93 percent of employees will stay at a company longer if it invests in their careers. 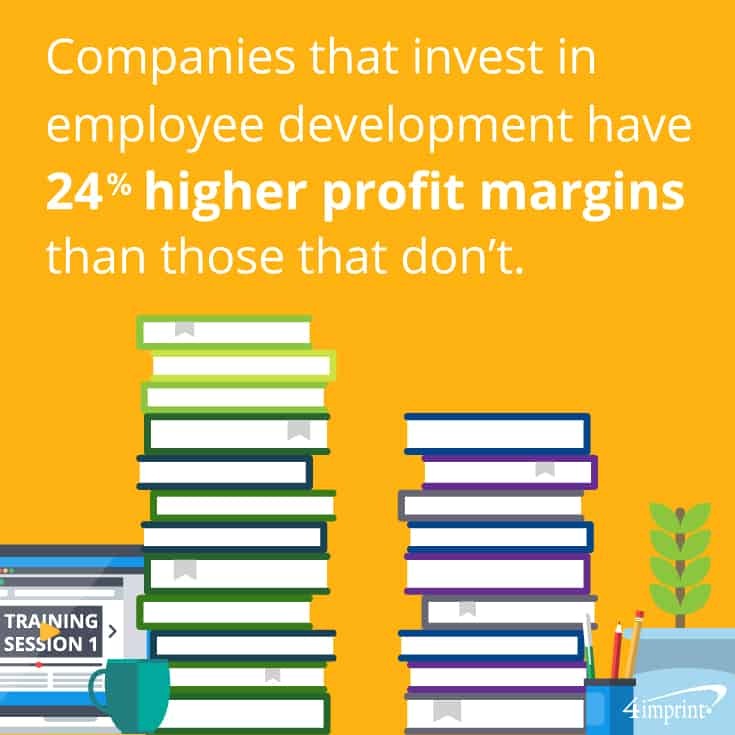 And companies that invest in employee development also have 24 percent higher profit margins than those that don’t. In other words, assisting employees with their personal and professional development isn’t just an investment in your employees. It’s also an investment in your company. 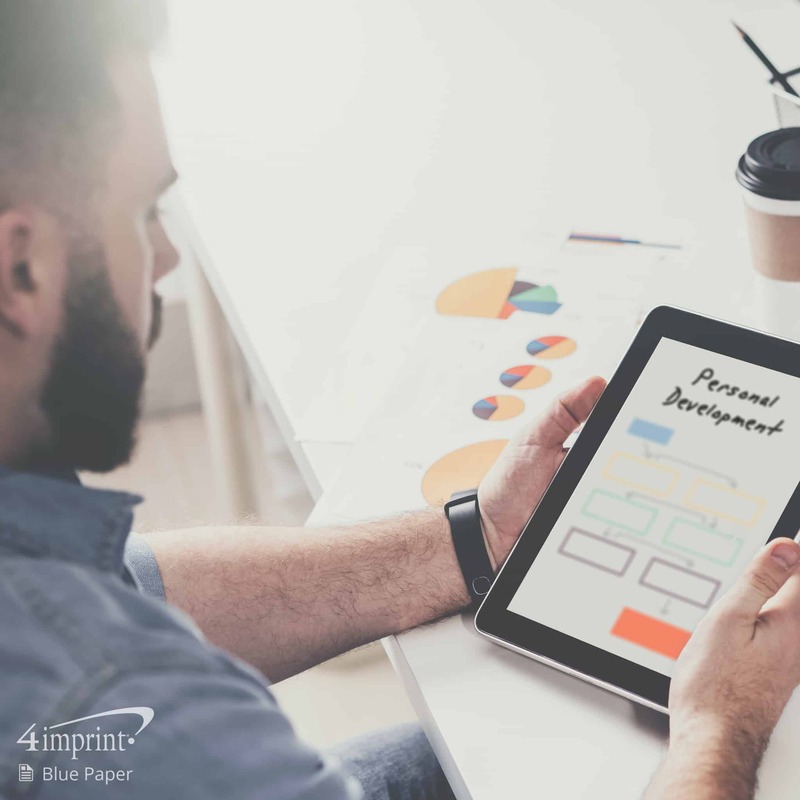 This Blue Paper examines the differences between personal and professional development and the various ways you can encourage and implement development in your organization. We also explore how using personal development giftscan help your company grow and thrive. Personal and professional development can take employees’ knowledge and skills, along with your company’s productivity, to the next level. But the two terms are not the same. Let’s see how they differ. In contrast, personal development is most easily described as improving soft skills. What’s important to remember is that when it comes to personal development, life skills can also be work skills. A class on breathing techniques or handling personal finances can help employees remove stress from their lives and make them better coworkers and managers. As your company changes and grows, your organization’s needs will shift. It’s to your advantage to consider what your organization needs, what your employees need, and how those goals can work in tandem. First, take a look at your organization’s goals and decide what you need to achieve them. Does your team have the right skills to help you get there? By identifying opportunities for employee development, you can help your staff gain valuable skills while saving yourself time and money hunting for additional team members. While you’re determining what skills your company needs, take the time to see what skills your employees want to develop. You may have employees who want to move into management or learn a new skill set. Where possible, find places where the skills you require and the skills they want to develop intersect. You may have an incredible salesperson or programmer who wants to move into a management role but lack the skills. Or perhaps you have a hardworking staff member who wants to move into another department. If your employee wants to move into a role that will require growth and learning, take an honest assessment of what skills they will need. Once you’ve inventoried their skills, you can assemble a plan of action and create next steps so that they move into their new or expanded role smoothly. What is that step-by-step approach? While a formal university class or series of classes might be needed, there are multiple ways employees can learn skills. Set a hard timeline. Will their training take a month or a year? Create check-ins to verify the employee is learning the needed skills. Give them an opportunity to use their new skills, either by easing them into a new position or allowing them to take the reins for a short period. Continue to evaluate their skills and, if needed, start the process again. Now that you’ve established what your employees want and need to develop, helping them find the time and means to learnwill keep them moving in the right direction. Offering the needed funding, flex scheduling and in-office courses on fundamentals can make their growth more feasible to fit into a day-to-day routine. Providing a set amount of money each year can help employees do everything from taking a management course to taking care of their health with a gym membership. As we stated earlier, both can be of value in your company, as life skills can also be work skills. While many schools offer educational opportunities during non-work hours, allowing employees to flex their schedules can let them take classes, meet with mentors or take advantage of other learning opportunities during their work day. 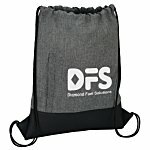 Find chances for employees to learn and offer to cover any fees associated with it. 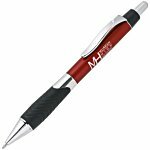 Or bring in a speaker or other expert on-site and give them personal development gifts, like a Mercury Notebook with Stylus Pen for note-taking or a Colorful Key USB Drive that contains educational information. The Roanoke Chowan Community Health Center combined an external speaker and in-house discussion to help employees with their personal development. Their organization held an all-staff development day and gave everyone a Folding Umbrella with Auto Open as a professional development gift. “We had a motivational speaker. The topic was ‘Reconnecting to our joy in work,’” said Melba Valentine, a human resources assistant. “People in the health care field get burned out a lot. The speaker discussed everything from random acts of kindness to topics like quality and safety. “Each department also spent some time in breakout groups, discussing ways to help them prevent burnout and how preventing burnout could help them provide better customer service,” Valentine said. Often, people think of development as cut-and-dried. The person doing the training picks up a book or goes to a local educational institution or seminar to come away with a specific skill. 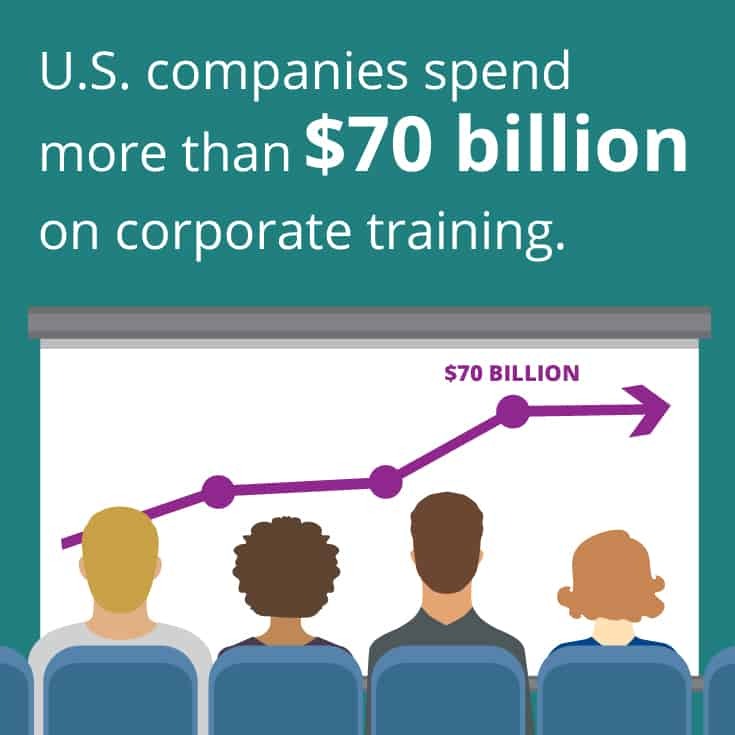 In fact, U.S. companies spend more than $70 billion on corporate training. But in truth, there are a variety of ways to promote and implement personal and professional development, many of which will work well even for smaller companies or organizations with limited training budgets. While it’s possible to take online classes from colleges and universities, there are also several other online education forums. Sites like Udemy® or Skillshare® give you the option to select courses that can help your staff build or practice their skills. Employees can even learn specialized tech skills online via sites like Cybrary™. Employees can access classes at any time, giving them the option to take them during the time of day or week that works with their schedule. They can learn at their own pace, repeating classes or courses to gain better understanding. Classes can be grouped into training units or courses, allowing you to create a standard company “university” of skills and training. Conferences can serve a dual purpose, allowing employees to network while learning about important skills and trends from industry peers. Bringing junior and senior level employees together can help build relationships in your company and provide valuable training opportunities. Similar to mentoring, bringing employees together to share problems and knowledge can be educational and help your business solve difficult issues when they arise. 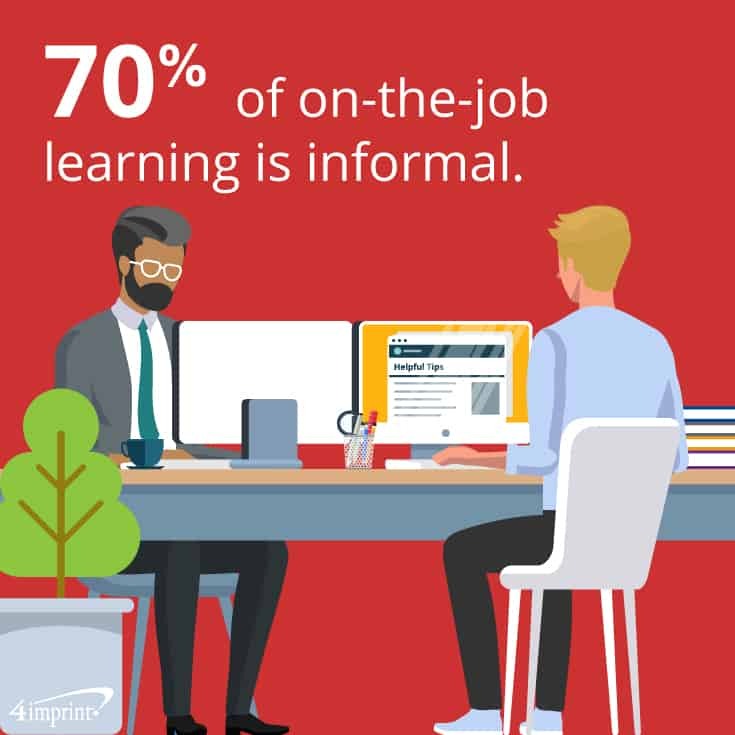 In fact, studies have shown that 70 percent of learning is informal. Facilitating employee and mentor interaction can create a variety of viable learning opportunities. For Hour Children, an all-staff training once every two years helps the team build personal and professional skills. The nonprofit helps incarcerated and formerly incarcerated women and their children assimilate into the community. Because the organization offers so many services, the team uses a variety of skills to help the organization be the best it can be. At the last staff development, Hour Children brought in a professional speaker. “We’re working on ‘dream team’ development,” said Frances McMurry, donation pickup coordinator. Development topics ranged from interpersonal skills to professionalism in the workplace. In addition to listening to the speaker and group discussions, the group participated in several fun exercises. With the aid of professional andpersonal development gifts, you can encourage employees to become their best selves. It will not only make them more loyal to your company, it will help your employees and your company grow. 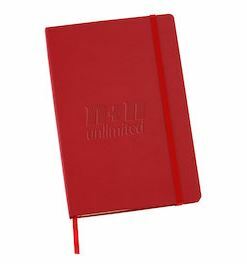 This journal helps employees create plans and make strides in their development. Effective listening improves communication, rapport and retention. 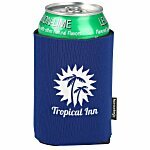 Promote better communication among team members with training giveaways.